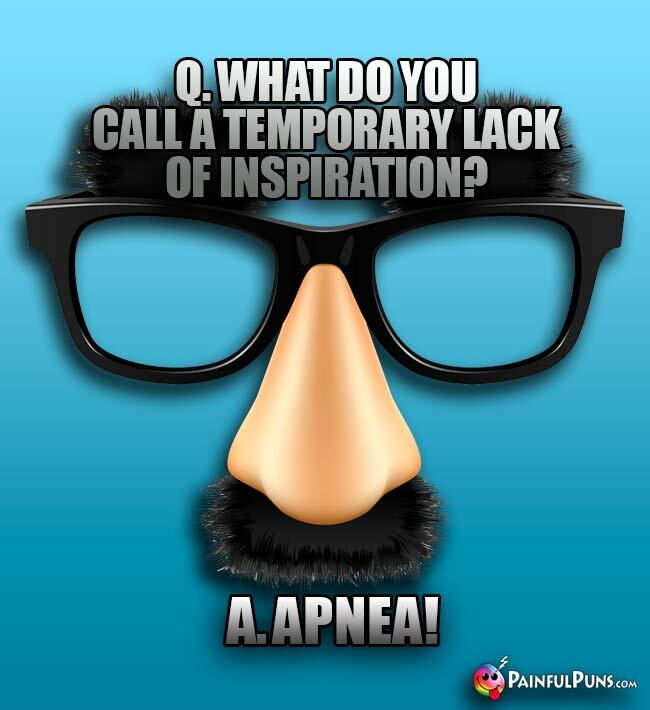 Hurt yourself silly with gruesome groaner jokes, wacky word play humor, and punny memes. 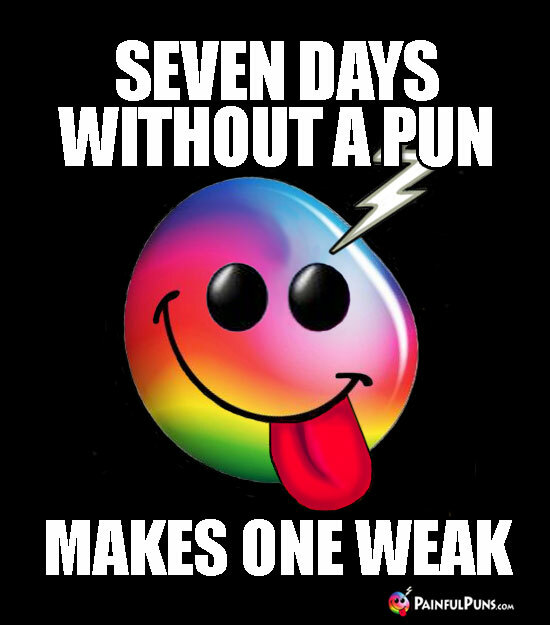 Painful Puns and Groaner Jokes – Ouch! Warning: Proceed with Caution! Funny bone pads and forehead protection strongly advised. Ye Ouch! Q. 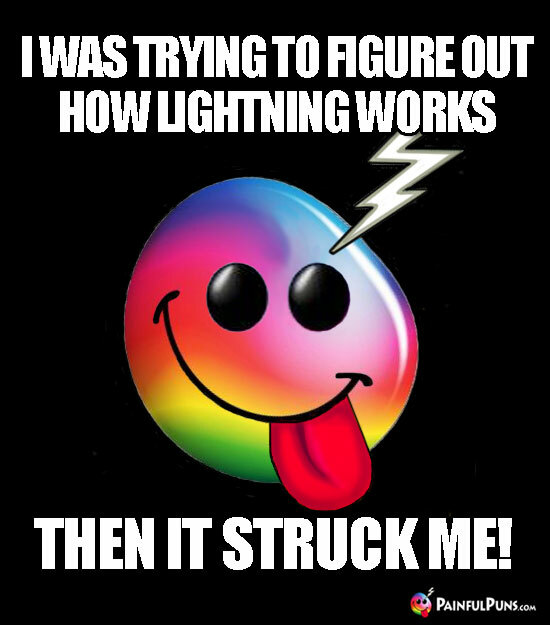 How many birds does it take to change a lightbulb? Q. How do you teach a parrot to speak properly? A. Send him to Polytechnic. Q. What do you call it when worms take over the world? Q. What do fireflies eat? Thief who stole a calendar got 12 months. GNO! 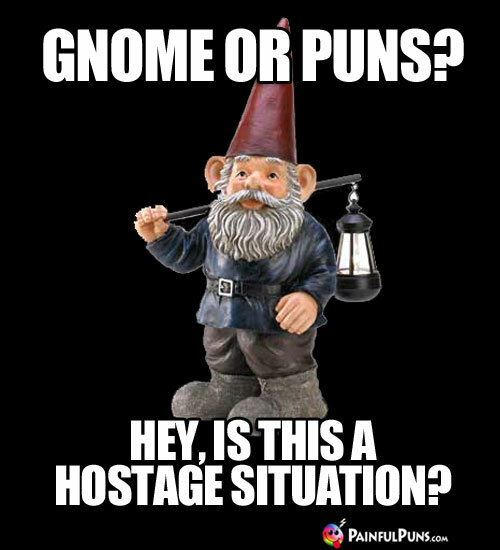 Gnot another punny hostage situation involving elves? Q. Why do gnomes and elves dislike each other? A bartender walks into a church, a temple and a mosque. 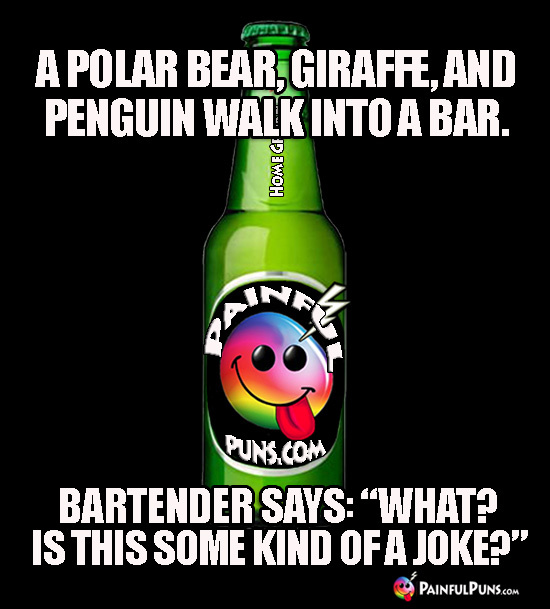 He has no idea how bar jokes work! Q. What do you call a mushroom who buys a round of drinks? 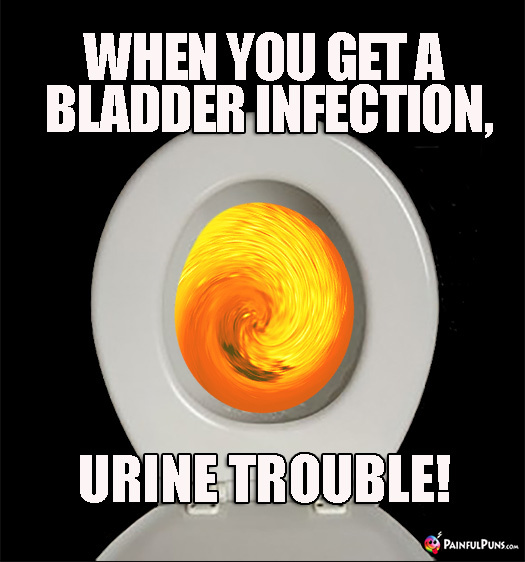 Urologists have been blessed with golden opportunities, know how to go with the flow, and make the lives of their patients a wee bit better. Q. If you're American in the living room what are you in the bathroom? Q. 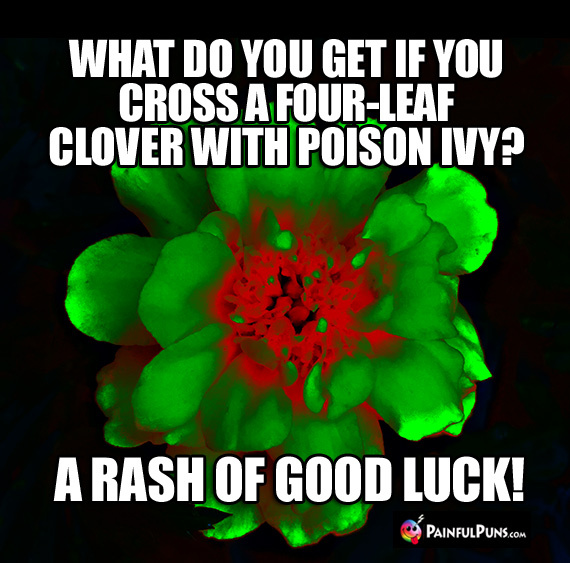 Why shouldn't you ever iron a four-leaf clover? A. 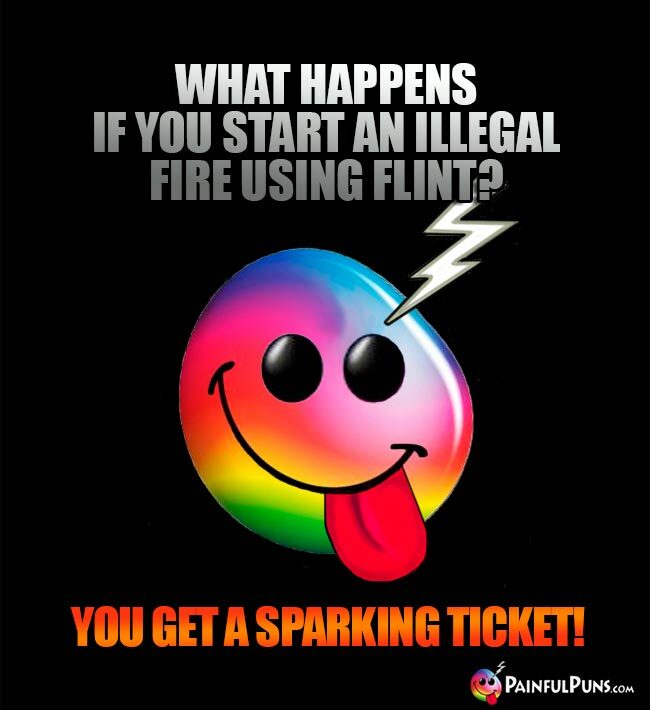 You might press your luck. Q. 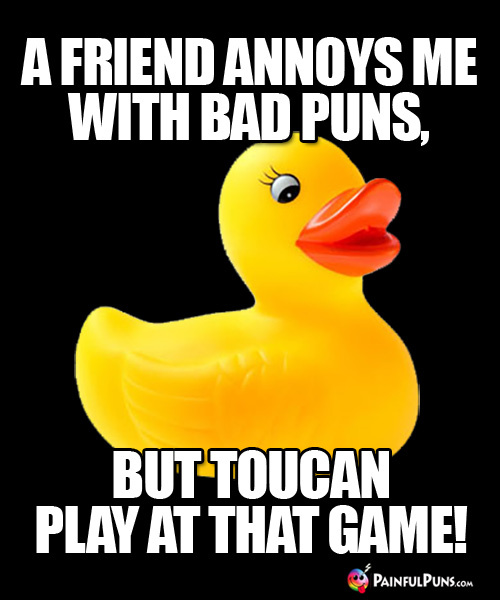 Did you hear the latest pun about the tree? A. It'll leaf you laughing! Q. Why did the gardener leave the store without a new shovel? A. Because he didn't have enough cabbage. Q. 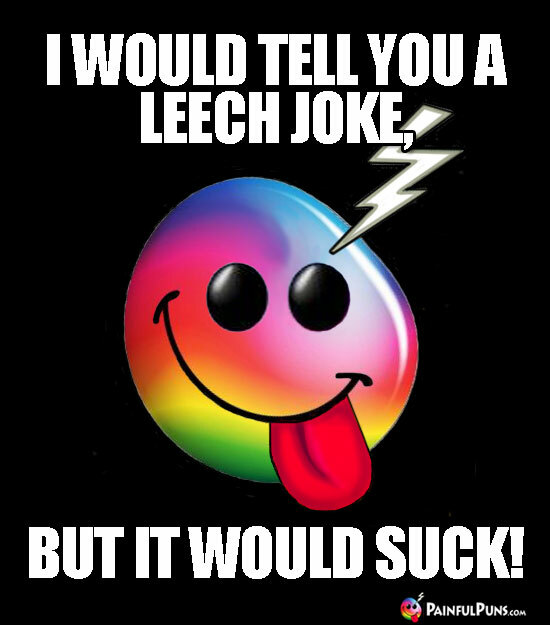 What is the difference between a leech and a lawyer? A. The leech stops bleeding you after you're dead. Q. 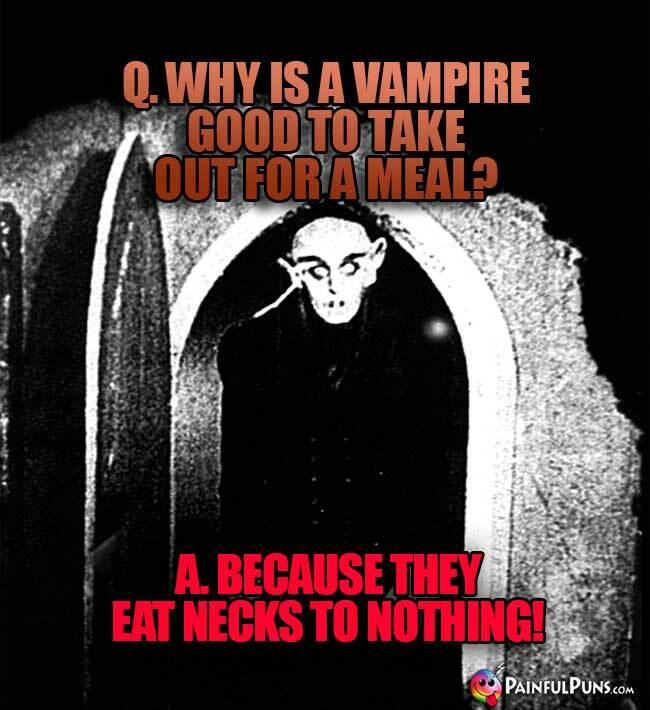 Why don't vampires like mosquitoes? 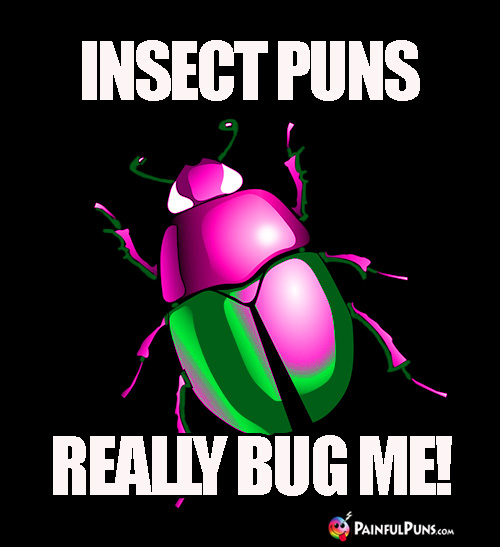 Did you hear about the two bed bugs who met in a mattress? They got married in the spring. Q. What is the secret of Hulk's purple pants? Q. What has 142 teeth and holds back the Incredible Hulk? Q. 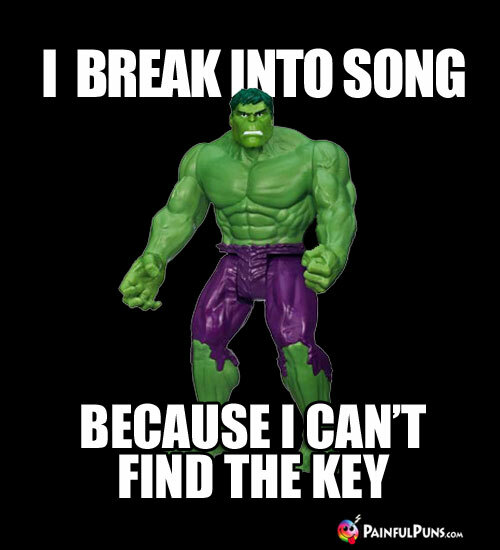 How do you know The Hulk is invinceable? A. Nobody named Vince has been able to stop him! 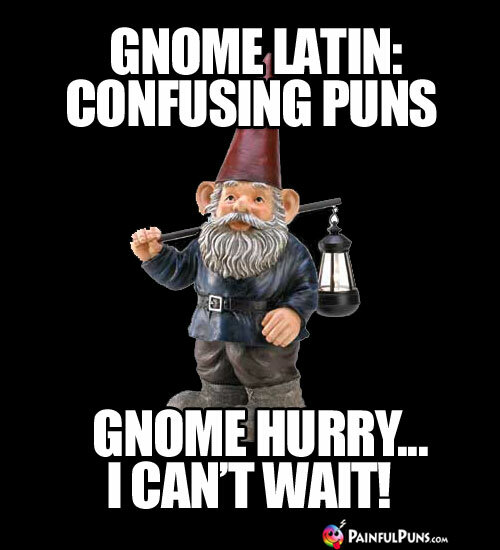 Pun Trivia: Pun Latin is the second hardest gnome dialect to learn. Q. What do you call a psychic gnome who escaped from prison? A. Small Medium at Large! 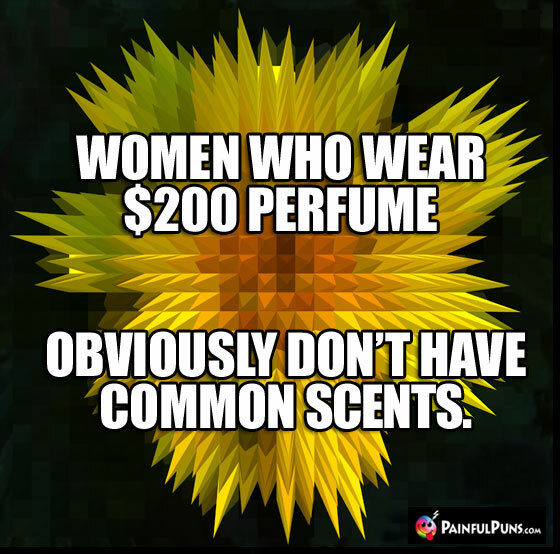 Perfume companies are concerned with dollars and scents! An apple a day keeps the doctor away, but an onion a day, keeps everyone away! Q. Why are skunks so clever? A. Because they have natural in-stinks! Q. What are the spots on black and white cows? Q. What happens if you talk to a cow? A. 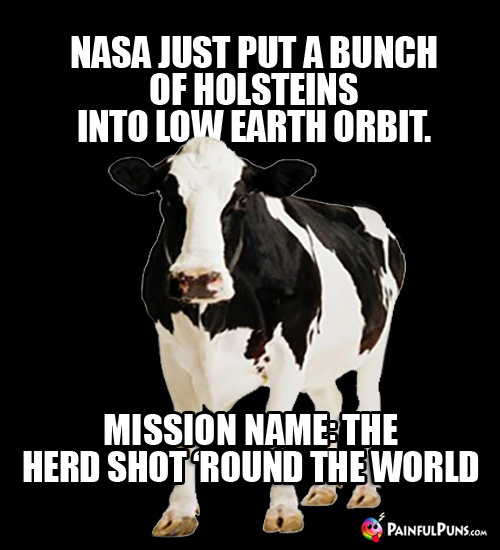 It goes in one ear and out the udder. Q. Why are steaks so happy at barbeques? A. They get to meet all their old flames.